A new study conducted by the Psychopharmacology and Addiction Research Centre (PARC) has found that MDMA users have more emotional empathy than other drug users who mainly use substances such as cocaine, cannabis and ketamine. 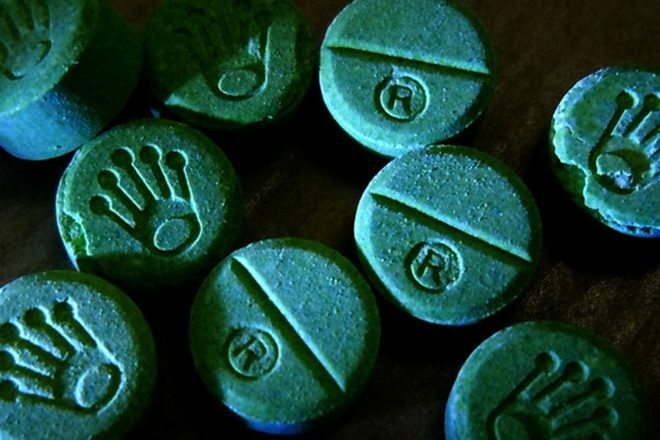 Over the past couple of years, scientists have made numerous breakthroughs that have shown us MDMA's potential usefulness for treating mental health problems such as PTSD and alcoholism. Between giving the drug to octopuses to examine the origins of social behavior and testing its ability to help people get over betrayal and build trust, the potential health benefits of this illegal party drug are becoming more clear with each passing study. This most recent set of drug trials set out to investigate "the long-term impact of recreational MDMA use on these fundamental social processes". The study involved 67 drug users: 25 of whom took MDMA once a month, 19 who used other drugs and 23 who only consume alcohol. Measuring each participant's emotional and cognitive empathy through a self-report test and a computerized assessment, researchers found that MDMA users scored higher than the poly-drug users who do not use MDMA. These results conflict with previously held suspicions that moderate, long-term MDMA use may cause heightened social distress - a very relevant find for considerations of its therapeutic purposes. This means those suffering from various mental health disorders can use the drug moderately for treatment over extended periods of time without it negatively impacting their feelings of social anxiety. It is important to note, however, that there is still no proof that MDMA increases people's emotional and cognitive empathy over time. It is entirely possible that the individuals who participated in this study are drawn to MDMA because they are naturally more empathetic and wish to seek out the drug's sociable effects. To properly test the long-term effects of MDMA and how it increases empathy over time, a new study would need to test its subjects before they started using the drug on a regular basis for an extended period of time.